The 2 cent coin was struck by the United States Mint from 1864 through 1873 and was created to fill a need for small change during a massive Civil War-era coin shortage. The bronze 2 cent coin, designed by United States Mint Chief Engraver James B. Longacre, barely lasted a decade. Despite its relatively brief existence, it became historic for at least one reason ? 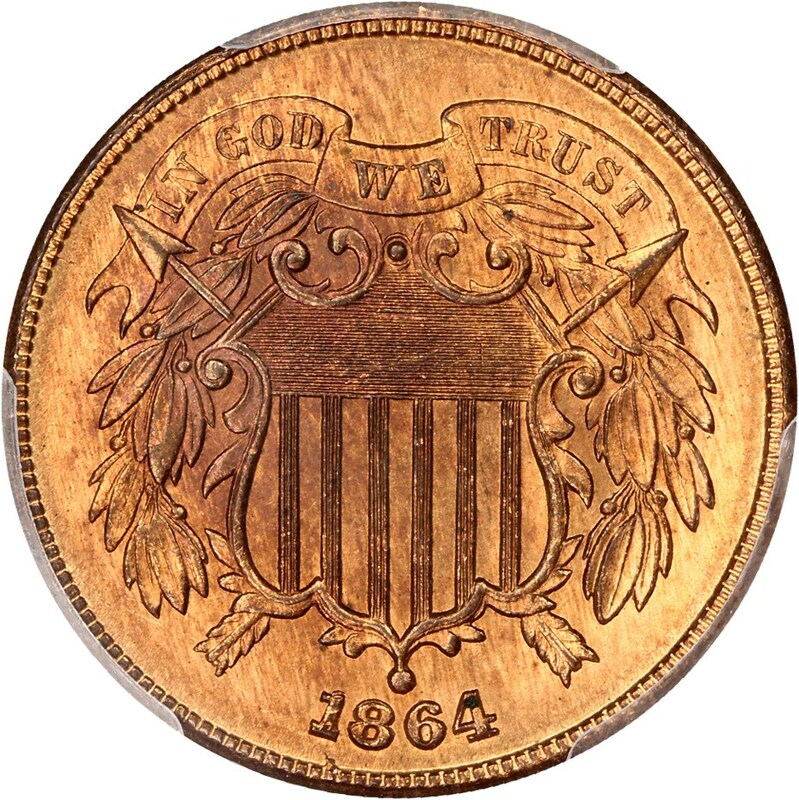 it was the first United States coin to bear the motto IN GOD WE TRUST, which today is seen on all United States coins. While a popular series, the 2 cent piece is not widely collected as anything more than a type coin. However, there are series specialists who enjoy pursuing 2 cent coins. There are few big-ticket 2 cent pieces. Most in the lower circulated grades are priced at well less than $50. However, there are a couple regular-issue business-strike pieces that command three figure prices or greater. These include the scarce 1864 Small Motto that trades for about $200 and up and the 1872, which has a mintage of only 65,000 pieces and generally commands $300 or more. The 1867 doubled die is the major die variety of the series.